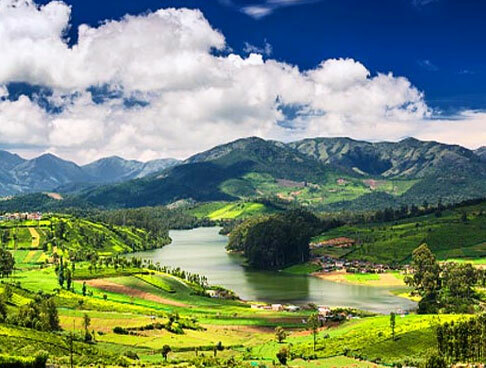 Kerala is one of the most travelled destinations in India. 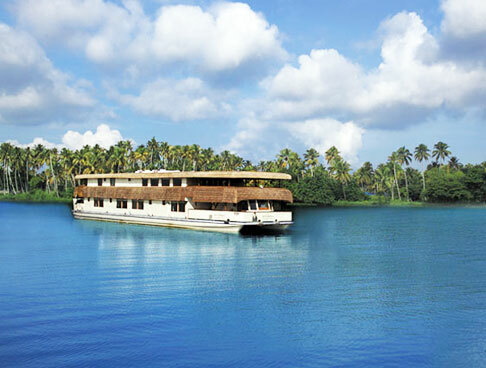 From stunning backwaters to wonderful sanctuaries, Kerala houses numerous attractions. The state has all what a traveler requires for a perfect holiday. 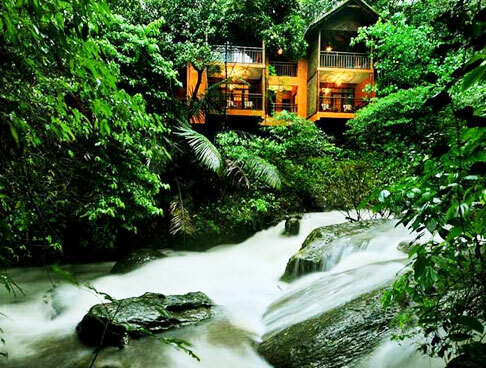 In-addition, the lush greenery of the place makes every traveler enjoy like never before. This Heritage Tours offer you a chance to spend some good times with your loved ones and make your trip worthwhile. The places we cover include Periyar, Kumarakom and Mararikulam. On your arrival at Cochin airport, meet our IHPL representative and get transferred to a pre-booked hotel. After check-in formalities, settle down . You are now free to explore the place on your own. Cochin, also known as Kochi, is a vibrant city of Kerala, which is flocked by travelers from all around the world. 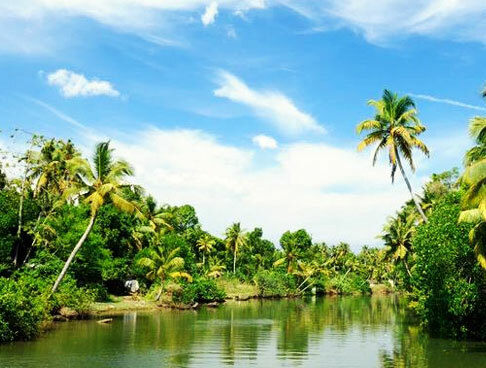 Often known as Ernakulam, Cochin is dotted with a number of tourist attractions. Stay overnight in hotel. On second day of your Heritage Tours, head for sightseeing in Cochin. You may visit any of these popular tourist attractions such as Mattancherry Palace, St.Francis Church, Santa Cruze Basilica, Chinese Fishing Net and so on . 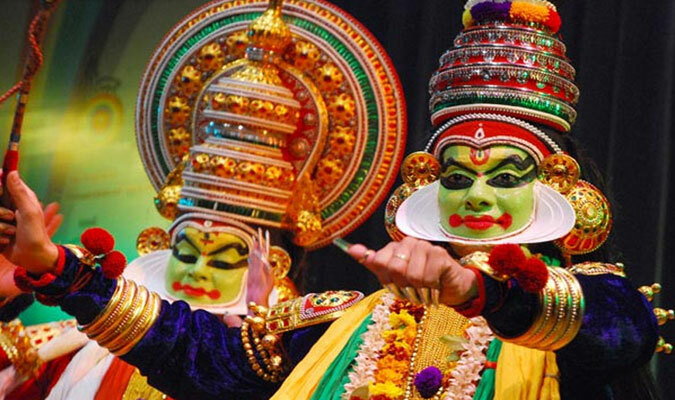 Later in the evening, get ready to enjoy the Indian classical dance, Kathakali; representing the famed culture and tradition of Kerala. Katahkali is a classical Indian drama well-known for its unique costumes, eye-catching make-up and body movements. Here you get to see number of versatile performers taking you to a different world. Stay overnight. Thereafter, get back to the hotel and spend your leisure time in relaxing. On third day, drive to Periyar. Check-in at a hotel. Late in the afternoon, enjoy a joyful boat cruise on pristine Periyar Lake and adore the amazing Periyar Wildlife Sanctuary; one of the great places for photo fanatics and nature lovers. The sanctuary is settled on the banks of beautiful Periyar Lake. 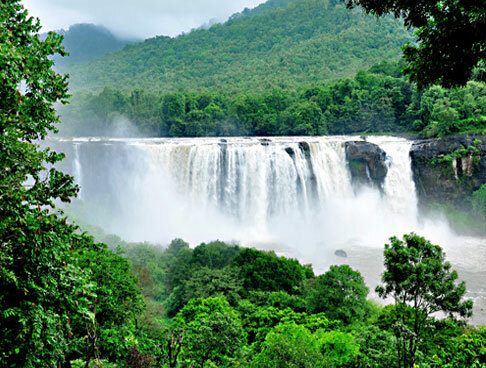 Surrounded by tropical evergreen and moist deciduous forests all around, Periyar Wildlife Sancturay in Kerala boasts of wide variety of flora and fauna. The sanctuary is popular for its elephant and tiger reserves. While taking a boat cruise you can spot some rare species such as jungle cat, sloth bear, sambar and Indian giant squirrel. Return back to the hotel, stay overnight. Today, head to the local bazaars of Periyar, which are full of unique buys such as varieties of spices including pepper, cinnamon and green cardamom. We also take you to the enchanting spice farms of the place. A walk through these lush plantations fills your nostrils with the rich fragrant aroma of several spices. 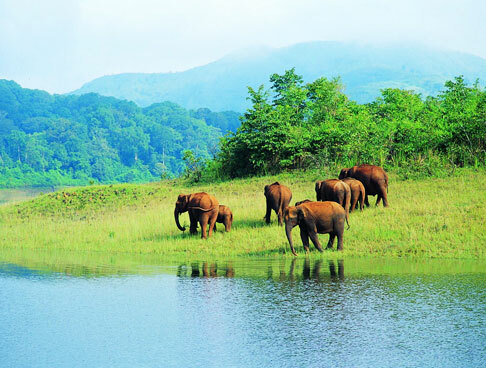 Later, you can also indulge in elephant ride and trekking in Periyar Wildlife Sanctuary (optional). On the whole, it is a great fun be at Periyar. Back to the hotel, for overnight stay. On fifth day of your Heritage tours, drive to Kumarakom . From wonderful backwater cruises to scenic lakes, picturesque Kumarakom houses numerous attractions. Settle yourself in the hotel room and then next get ready for a rejuvenating sunset boat cruise on Vemabanad Lake; ranked among the longest lakes in India. The lake looks amazing during Onam with the famous snake boat races. Enjoy the passing striking prettiness and amazing sunset view on the backwaters of Kerala. The tranquil ambience of the place would surely leave your mesmerized. Get back to hotel room and stay overnight. The morning of sixth day is for going aboard Kettuvallam (houseboat). 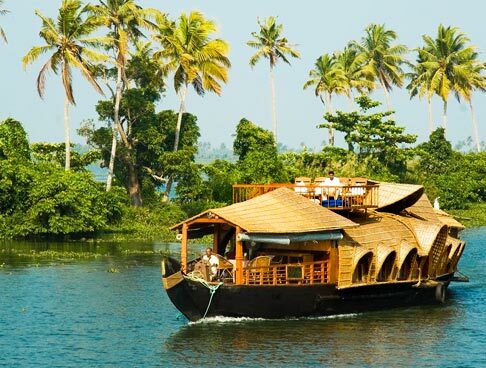 Kettuvallam is a houseboat put up by bamboo poles and mats, coconut fibre and ropes. The most amazing part of the houseboat stay includes the enchanting views and the untouched and unexplored places of Kerala. Set yourself free and feel the cool breeze flowing over your face. Thereafter, spend rest of the evening cruising through the backwaters of Kerala. Enjoy mouthwatering cuisine on the houseboat and stay overnight. On seventh morning, check-out from the houseboat and leave for gorgeous Mararikulam. Mararikulam is a wonderful beach with pristine surroundings; soothing your mind and soul. Upon reaching Mararikulam, check-in at a pre-booked beach resort. Afternoon is at leisure. The laid-back and relaxed atmosphere of the place is going to take away all your tiredness. Enjoy your dinner and stay overnight in the resort. Eight day is set to relax and loosen up. Full day is at leisure or you can opt for an ayurvedic massage; restoring your balance and good health. You can also visit the Marari beach to indulge in fun activities. take a stroll, enjoy the sunset views, notice the local fishermen indulged in their daily activities. overnight stay. On ninth and last day of your Heritage tours, check-out from the resort and straight away travel to Cochin. Then from Cochin airport board a flight for your onward destination.